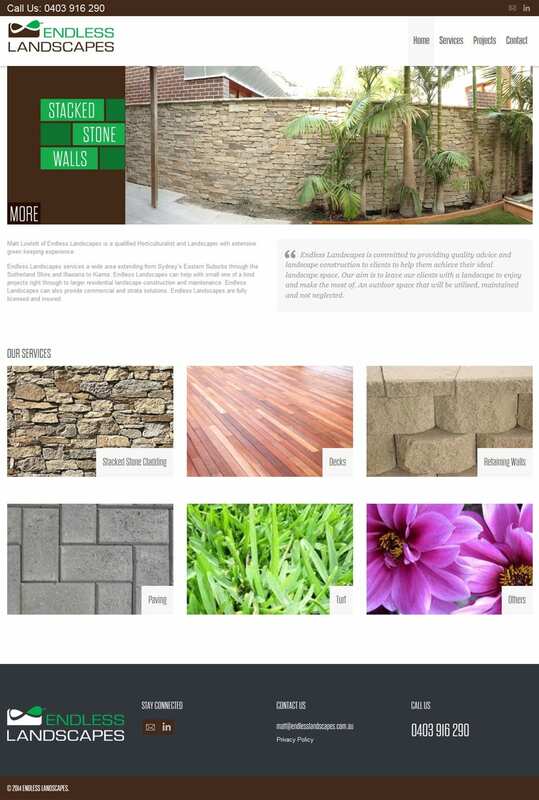 We converted Endless Landscapes website from Concrete5 to WordPress. The content was restructured and expanded to allow us to feature their stacked stone cladding work. We converted to WordPress so we could use some of the vast number of plugins available. It was also beneficial as WordPress takes up much less space allowing us to allocate much more email space on the server. We have also been assisting with AdWords management.